Congress is in chaos. Rahul Gandhi has publicly slammed the ordinance which would keep criminals in power and in hours the cabinet must decide whether to swallow its pride and drop it. Let’s send messages now to help Congress hold firm to its traditions and choose swaraj, not cell-raj. The odious ordinance is a disgraceful dodge to allow criminal and corrupt representatives to cling to power. But public outrage has stopped it in its tracks and now we can kill it for good. 98% of Indians oppose the move and — with elections just round the corner — we can make PM Singh and his senior ministers step back from signing Congress’s death warrant on Gandhi Jayanti. 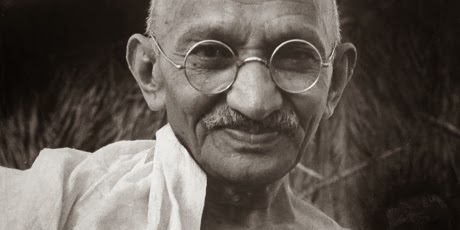 Mahatma Gandhi gave his life in service to the nation, but many of today’s politicians seem more interested in lining their pockets and supporting their cronies than governing for the good of the people. An incredible 30% of MPs in the Lok Sabha face criminal charges. In July the Supreme Court took a brave stand and ruled that any MP or MLA convicted of a serious crime must lose their seat immediately. Politicians wanted criminals to stay in power and introduced a bill to overturn the decision. But public outcry left the bill on the table when the monsoon session ended. Then two important MPs faced convictions for corruption. Ridiculously, this was deemed an emergency worthy of using crisis powers. But public demands for clean politics are becoming too loud to ignore. Opposition leaders and Congress bigshots are taking their distance and we can build on this uproar to push cabinet ministers to follow Rahulji’s suggestion to “tear up and throw away” the ordinance when they meet today. Together we have kept up the pressure and stopped politicians from letting criminal cronies stay in office. Over 114,000 of us took action and together with other voices we convinced Congress not to push the bill through. Our poll shows 98% of Indians backed the court and wanted criminals in prison, not parliament. Now we need to stop the threat for good!